Here's some great footage of the performance of the Vikings suite at the Krakow Film Music Festival. With Einar Selvik, Tina Guo, Sinfonietta Cracovia and the Polish Radio Choir. Conducted by Trevor Morris. Both Wardruna and Skuggsjá will perform in London next year as part of a series of events called London By Norse. There will be lots of other interesting things going on there, so be sure to visit the By Norse website for all the details. Metal Hammer UK also has a nice write-up about the event. 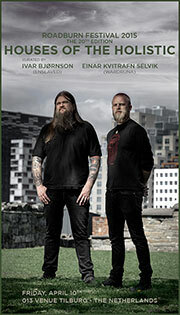 Season of Mist are proud to announce the signing of Ivar Bjørnson & Einar Selvik’s Skuggsjá . The Norwegian band consisting of members from Enslaved and Wardruna represents another gem in the label's treasure chest. These acclaimed musical masterminds will release their debut album early 2016. "When we were asked to write a joined concert piece by the Eidsivablot festival for the 200th anniversary of the Norwegian constitution, we both immediately saw the outline of something massive and important. "Our performance confirmed that this project should live on, develop and thrive. During 2015 we have performed the piece once more at the Roadburn festival, and have also discreetly slipped in and out of studios around Norway to record what is to become our debut album. "We are extremely proud of what we will present on this album; and are delighted to be working with the professionals at Season of Mist. It has been quite a journey already for the two of us, but this where it really begins. We have created something that is bigger than its individual parts. Now we are excited to see what the world make out of our creation!" 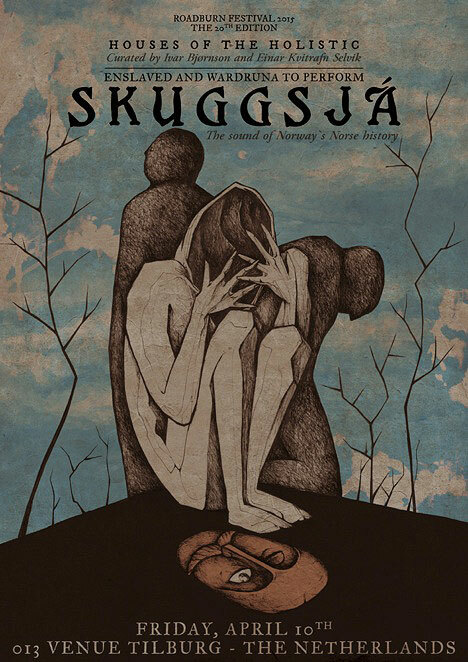 SKUGGSJÁ was conceived as a commissioned musical work written by Ivar Bjørnson and Einar Selvik. The arrangement was performed by ENSLAVED and WARDRUNA as a concert piece in commemoration of the 200th anniversary of the Norwegian constitution at the Eidsivablot festival in Eidsvoll, Norway on September 13th, 2014. Shortly after this premiere, SKUGGSJÁ was announced as one of the headliners of the 20th edition of Roadburn Festival 2015. The growing desire to present SKUGGSJÁ to a broader audience has ultimately led Bjørnson and Selvik to record their work in its entirety. The album will be released early 2016. Details regarding this debut release will follow soon. SKUGGSJÁ translates into ‘mirror’ or ‘reflection’ in the Norse language. This composition not only contextualises the role of extreme music in Norway’s democracy in the year 2014, but also joins threads from the country’s ancient musical history and solidifies the position of metal as Norway`s most important cultural export. By highlighting ideas, traditions and instruments of their Norse past, SKUGGSJÁ tells the history of Norway and reflects relevant aspects from the past into the present day. In light of they reflect on themselves as a people and nation. In a magnificent tapestry of metal instrumentation, a wide variety of Norway’s and Scandinavia’s oldest instruments as well as poetry in Norse and Norwegian, SKUGGSJÁ is a fusion between past and present, both lyrically and musically. Our T-shirts and zip hoodies have been sold out for a long time and we often get questions about when they will become available again. Today is that day! We have set up an official US-based Warduruna store through IndieMerch with all our previous T-shirt and hoodie designs and a couple of new ones. Winners of the award for Best Underground Band at the 2014 Metal Hammer Golden Gods Awards, Norway's Wardruna will present a very special performance, dubbed House of the Spinning Seer, at Houses of the Holistic, Ivar Bjørnson’s (Enslaved) and Einar “Kvitrafn” Selvik‘s curated Roadburn event on Friday, April 10in Tilburg, The Netherlands. "We are very exited as well as honored to be back to perform at Roadburn 2015"' says Einar "Kvitrafn" Selvik, "and so we plan to use this occasion to give the audience a concert out of the ordinary. It will be a Wardruna concert in an all-new form. With almost twice the amount of musicians that we normally have on stage our sonic threads of old and new shall be majestically spun and our soundscape carefully woven on the loom of the spinning seer." We're elated to announce that Enslaved and Wardruna will perform Skuggsjá, the sound of Norway's Norse History at Houses of the Holistic, Ivar Bjørnson's and Einar “Kvitrafn” Selvik's curated Roadburn event on Friday, April 10 at the 013 venue in Tilburg, The Netherlands. Written by Bjørnson and Selvik for the 200th anniversary of the Norwegian Constitution and premiered this past weekend at the Eidsivablot festival, this will be Skuggsjá's first performance outside of Norway, and will certainly be one of the highlights of the 20th edition of Roadburn Festival. 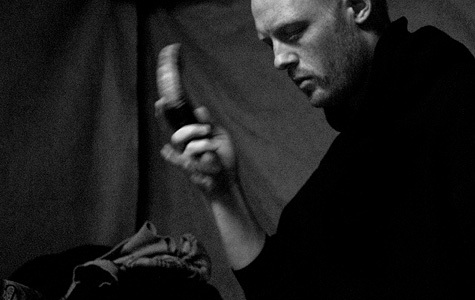 Skuggsjá translates into ‘mirror’ or ‘reflection’ in the Norse language, and the commissioned piece not only contextualizes harder music’s role in the democracy in Norway in 2014, but also joins threads from the country’s ancient musical history and solidifies harder music’s position as Norway`s most important cultural export. By highlighting ideas, traditions and instruments of their Norse past, Skuggsjá will tell the history of Norway and reflect relevant aspects from the past into the present day. In light of this they will reflect on themselves as a people and nation. In a magnificent tapestry of metal instrumentation, a wide variety of Norway and Scandinavia’s oldest instruments, and poetry in Proto-Scandinavian, Norse and Norwegian, Skuggsjá will be a fusion between past and present, both lyrically and musically. We simply can't wait to experience it ourselves, to hear how how Norwegian metal has developed from its rebellious roots into the highly acclaimed artistic expression of a complex music genre, under Norway's constitutional right to freedom of speech. Curated by Ivar Bjørnson (Enslaved) and Wardruna‘s Einar “Kvitrafn” Selvik, Roadburn Festival 2015 (including Skuggsjá, Enslaved, Wardruna, Claudio Simonetti's Goblin, Zombi, Fields of the Nephilim and The Heads as Artist In Residence among others) will run for four days from Thursday, April 9 to Sunday, April 12 at the 013 venue in Tilburg, The Netherlands. We are honored to announce that British gothic rock innovators Fields Of The Nephilim will be gracing the stage twice at the 20th edition of the Roadburn Festival at the 013 venue in Tilburg, The Netherlands. In addition to serving as the Saturday headliner on April 11, 2015, the band will perform a different set as special guests at ‘Houses Of The Holistic’ on Friday, the special Roadburn event curated by Ivar Bjørnson (Enslaved) and Wardruna's Einar "Kvitrafn" Selvik, which will be held on Friday, April 10. Currently 30 years into a groundbreaking career, Fields of the Nephilim have had a major impact on an entire generation of musicians and music fans. Led by singer Carl McCoy, the Stevenage, England band fused the darker elements of post-punk with more overtly American sounds such as blues and outlaw country, creating a sound that was gritty, grandiose, and menacing, unlike anything that was made before or since. Such classic albums as Dawnrazor, The Nephilim, and Elizium helped shape the goth subculture, but at the same time played a profound role in influencing a wide array of today’s music, ranging from indie, to occult rock, to metal. Such contemporary bands as Watain, Katatonia, Horseback, and Enslaved cite the Nephilim as a major influence. "Fields of the Nephilim has accepted our invitation for our "Houses of the Holistic" at Roadburn 2015. Bleep! 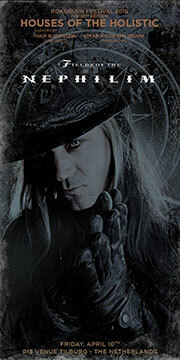 Anything I say after that sentence is going to seem insignificant in comparison, so no pressure for once,” says Bjørnson, "I've been a avid fan of Carl McCoy and Fields of the Nephilim since I was introduced to them during the early years of Enslaved; and they have remained a constant source of inspiration ever since (check out the song ‘Nordlys’ from our Scion-EP ‘The Sleeping Gods’, for instance). Having these absolute masters of sublime Music from the Shadows as very special guests at our curated event is as big as it gets; April 2015 just can't come fast enough! Aaaaaarrrrggghhh!" Comments Selvik: "The basic idea of our ‘Houses of the Holistic’ is of course about inviting bands we find interesting and would love to see perform but it is also about creating an event that at the same time says something about what shaped and inspired us on our own creative path - AND - since the authors of the poetic Edda are long since gone I personally have difficulty thinking of a more fitting band than Fields of the Nephilim to give voice to that idea." We at Roadburn have been huge supporters of Fields Of The Nephilim since the Dawnrazor album in 1987, and with their influence looming large over so many acts that have played at our festival over the years, hosting these two special performances at Roadburn 2015 couldn’t be more appropriate. Roadburn Festival 2015 (including The Heads as Artist In Residence, Wardruna and Enslaved among others) will run for four days from Thursday, April 9 to Sunday, April 12 at the 013 venue in Tilburg, The Netherlands. 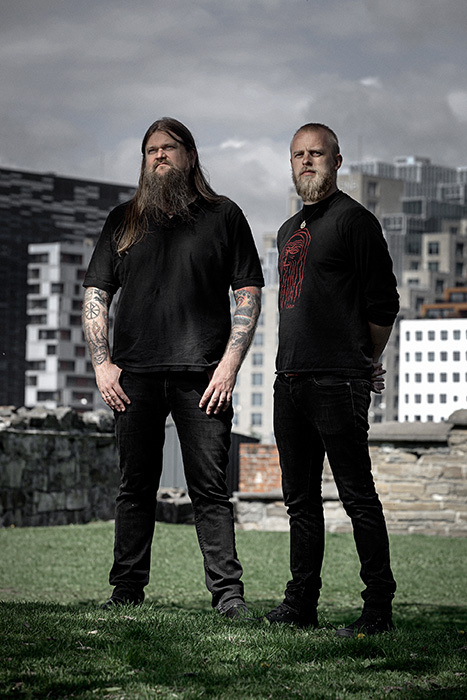 We're beyond thrilled to announce that Ivar Bjørnson of Enslaved and Wardruna's Einar Kvitrafn Selvik will curate the 20th edition of Roadburn Festival, on Friday, April 10, 2015 at the 013 venue in Tilburg, The Netherlands. As curators, both Ivar and Einar will personally select the bands for their curated Roadburn event, named ‘Houses of the Holistic’, and play special shows with Enslaved and Wardruna respectively as well. 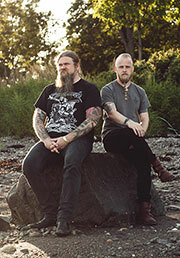 The Norwegian pair, both former Roadburn performers, have played an important role in bringing together the past, present and future sounds of hard rock, progressive metal, and alternative scenes, which makes them the ideal choice to carry on the tradition that began in 2008 with David Tibet of Current 93, and continued with Neurosis, Tom G. Warrior, Sunn 0))), Voivod, Jus Oborn of Electric Wizard and Mikael Åkerfeldt of Opeth. One of the most hard-hitting and progressive bands to come out of Norway, Enslaved has drawn other musical genres and artistic expressions into the realm of metal, while being recognized for merging tradition and modernity in a unique blend of rock, prog and black metal, earning them Spellemann Awards (Norwegian Grammys) for much acclaimed and groundbreaking albums such as ‘Isa’, ‘Ruun’, and ‘Vertebrae’ among others. Enslaved's performance, dubbed ‘House of Northern Gods’, will consist of a set list specially put together for ‘Houses of the Holistic’, featuring songs from the band's entire catalogue that embody the Norse gods, with accompanying visuals created by revered Romanian artist, Costin Chioreanu. Be prepared for a surprise or two, or even more. Winning the award for Best Underground Band at the 2014 Metal Hammer Golden Gods Awards, Wardruna has taken Einar Kvitrafn Selvik's musical visions out of the contemporary framework and back into the authentic sounds and instrumentation of ancient Northern Europe. 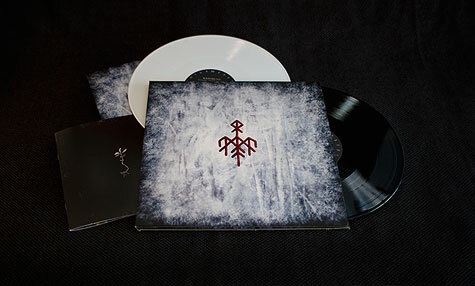 Wardruna (featuring Gaahl and Lindy Fay Hella, alongside Einar) received rave reviews for their mesmerizing 2009 debut ‘Gap Var Ginnunga’ and equally exciting follow up, ‘Yggdrasil’, the first two albums in the planned ‘Runaljod’ trilogy that interprets the ancient runic alphabet of the Elder Futhark. Wardruna's special ‘Houses of the Holistic’ performance will definitely add another dimension to the kaleidoscope of styles and sounds associated with Roadburn. 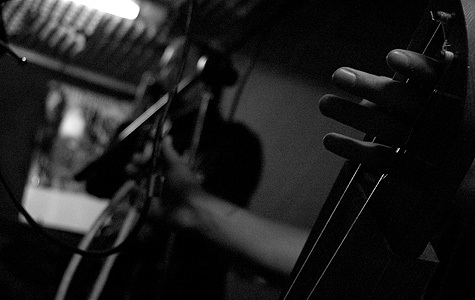 While the two curators’ musical output differs instrumentally and stylistically, Bjørnson and Selvik have a common direction towards the primeval and undiluted, not only in their own artistic expressions but also in their taste for other music, which is ultimately what they wish to present at Roadburn 2015 during ‘Houses of the Holistic’. We look forward to this collaboration and cannot wait to see how both Ivar and Einar will expand Roadburn Festival‘s musical horizons as well as explore more familiar territory from new angles. 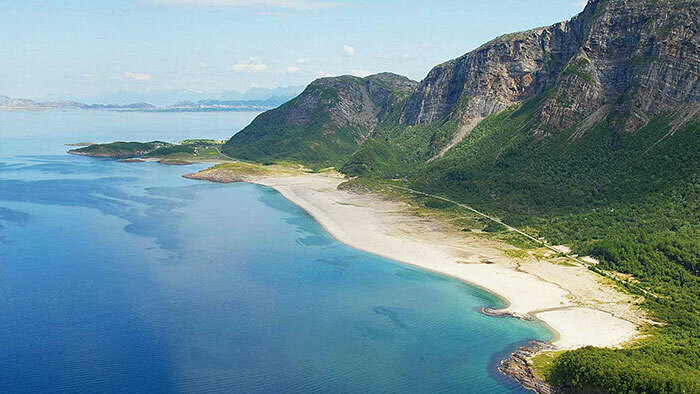 We will definitely be in for some artistic surprises, and Norway's Norse history, too! Wardruna will perform on the opening weekend of SALT, August 30th at Sandhornøy in Northern Norway. 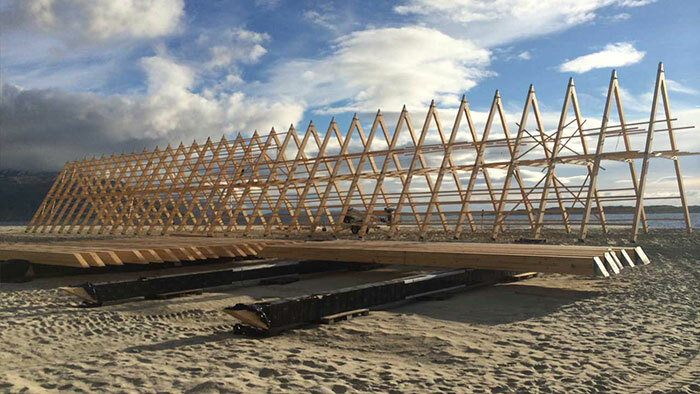 "SALT begins its journey upon an Arctic beach on the mountainous island of Sandhornøya, south of Bodø, Northern Norway, 29th August 2014 until 6th September 2015. Here, at this remote location, surrounded by breath-taking nature, visitors can discover a place to engage the mind, body and soul. SALT will over the coming years travel across the northernmost part of our planet, making a home in Greenland, Iceland, the Faroe Islands, Ireland, Scotland, Spitsbergen, Alaska and Russia. SALT is an ambitious and inspiring concept designed to stir the imagination. Like nothing that has come before, it will also leave no physical trace. SALT is an initiative for arts, culture and environment that will each year move to a new location in the Arctic. SALT uses the Arctic nature as a framework for strong arts and cultural experiences." Visit salted.no for tickets and details on this very special project. 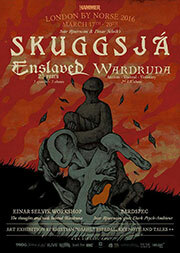 Enslaved and Wardruna will premiere a new comissioned work entitled “Skuggsjá“ at Eidsivablot in September! "This year we celebrate the 200 year anniversary of the Norwegian Constitution all over Norway. Norwegian metal has developed from rebellioninto a highly acclaimed artistic expression of a complex music genre under our constitutional right to freedom of speech and Saturday, September 13th, the anniversary will end at Eidsvoll. Eidsivablot will be an open-air all day event where we will honour Norways Norse history with ancient Norwegian sounds and music, true Norse extreme metal, photo exhibitions and guided tours to the viking graves. Eidsivablot present: Skuggsjá - The sound of Norway's Norse history. It is with great pleasure we present Skuggsjá. 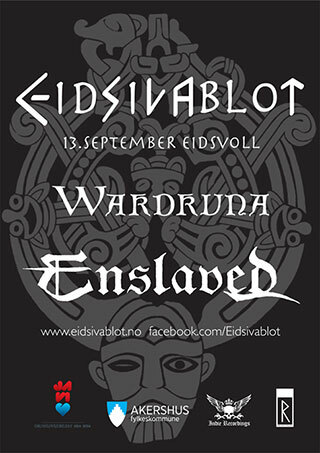 A commissioned work to be performed by Enslaved and Wardruna on September 13th 2014 at Eidsvoll, Norway. The piece is written for the 200th anniversary of the Norwegian Constitution, and will be performed at Eidsivablot. Besides the performance of Skuggsjá there will also be full concerts by Enslaved and Wardruna. Skuggsjá translates into mirror or reflection in the Norse language, and the piece is composed by Ivar Bjørnson and Einar Selvik. Selvik is known as the composer behind the Norse-folk band Wardruna, while Bjørnson is known as the composer of the acclaimed metal band Enslaved. Skuggsjá is a work that not only contextualizes the harder music's role in the democracy in Norway in 2014, but also pull threads from our ancient musical history and to the harder music's position as perhaps Norway`s most important cultural export. By highlighting ideas, traditions and instruments of our Norse past, we will tell the history of Norway and reflect most relevant aspects from the past into our own present time. In light of this we will reflect on ourselves as a people and nation. In a magnificent tapestry of metal instrumentation and a wide variety of Norway and Scandinavia's oldest instruments, and poetry in Proto-Scandinavian, Norse and Norwegian, Skuggsjá will musically as well as lyrically be a fusion between past and present. We are thrilled to see and hear two of the most genuine artists of Norway meet at Eidsvoll to premiere Skuggsjá. With our constitutional building as a backdrop, this will no doubt be a historic day." Saturday, September 13th / 13:00–23:00. Tickets: 350,- NOK. 18 years age limit. The first pressing of ‘Runaljod - gap var Ginnunga’ has been sold out for a long time now, so today we're happy to announce that a reissue is imminent. 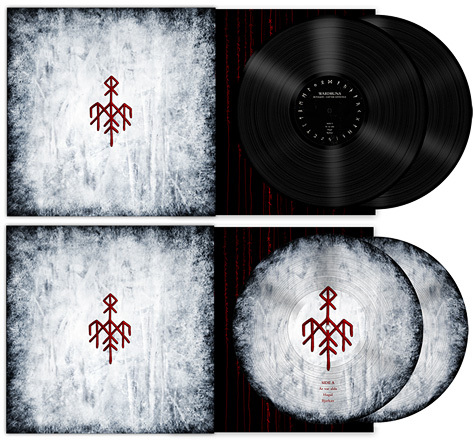 The album will be released by Indie Recordings on May 19th in Norway and Europe and will come in two formats: black double vinyl in gatefold sleeve and a limited double picture disc with the red Wardruna logo, also housed in a gatefold sleeve. 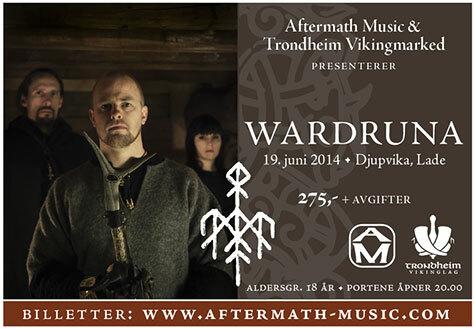 Wardruna will be performing at Otternes bygdetun in Flåm, Norway on the 17th of July. The concert is held during Gudvangen Viking market and is situated in the same area. Tickets are available now through Billettservice. More details and lots of pictures are available on the Facebook page for the event. In other news, Wardruna have been nominated for Best Underground Band at this years Metal Hammer Golden Gods, which is taking place at the IndigO2 in London on 16th June. You know what to vote! We will be back at Castlefest this year! The festival takes place in Lisse (NL), August 1-3. Tickets and more info is available at the Castlefest website. Wardruna is confirmed to perform at the Kilkim Žaibu XV Festival in Varniai, Lithuania. The concert will take place on June 20. Check the festival website and Facebook page for tickets and more info. Wardruna will perform in Djupvika in Trondheim on June 19th. The concert is part of the annual Trondheim Viking Market and tickets are available now through Aftermath Music. 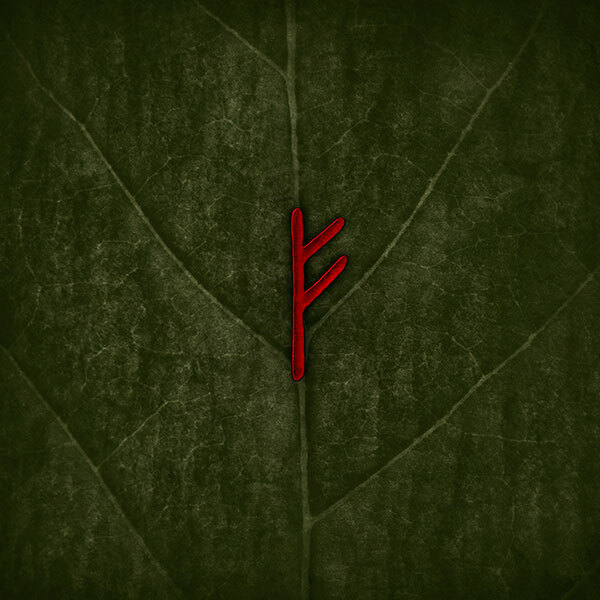 With the premiere of Vikings - season 2 just around the corner it is a great pleasure to announce that the Norse sounds of Wardruna will be present this season as well. In addition to the use of Wardruna songs, I'm also taking part in the actual score for the series and I have been collaborating with the award winning Vikings composer Trevor Morris since the autumn of 2013. I would like to use this opportunity to express my gratitude to the Vikings production and to Trevor Morris for welcoming me and Wardruna more into the heart of the show this season. Wardruna is very pleased to announce that they will perform at Blastfest in Bergen, Norway. Wardruna's concert will be on Saturday, February 22nd. Kvitrafn will also do a workshop at Blastfest talking about his approach to making music as well as demonstrating a selection of the oldest Nordic instruments. Tickets and more information is available at the Blastfest website. On behalf of myself and the rest of the live constellation of Wardruna, I would like to sincerely thank all the people that came to our recent concerts in Nøtterøy, Oslo, London, Tilburg, Rennes, Paris and Helsinki. The turnout of people was overwhelming, as was the manner in which we were received. Your support is truly inspiring for the work to come and I hope you will welcome us again in the future. Here’s a few online reviews of the concert in London from The Quietus, Ghostcult Magazine and Louder Than War. And pictures from Helsinki, Tilburg, London and Oslo. Wardruna will finally come to Finland this autumn. The concert will be at the Savoy-teatteri in Helsinki on November 4th. Tickets available now. A show in Paris on October 27th at Divan du Monde has been added to Wardruna’s European mini-tour this autumn. This will be Wardruna’s first concert in France! Tickets available now here and here. Bjørgvin marknad viking and medieval festival celebrates their 10th anniversary with Wardruna live in concert on Friday 31 May at 23:00 on Hordamuseet. Tickets. As part of an exclusive European tour Wardruna will perform live on Riksscenen in Oslo on October 18. Tickets are available now. 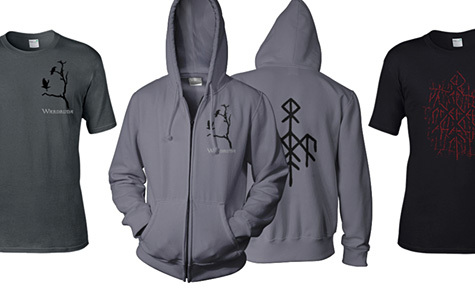 A new Wardruna T-shirt is now available in the shop. The previous shirt with the logo/bindrune design has been reprinted and is also available. We are also expecting to have zip hoodies (with different design) in the near future. It delights me to announce that on Friday the 25th of October 2013 Wardruna will return to The Netherlands to perform in the main hall of the 013 venue in Tilburg. 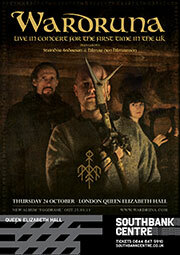 Wardruna will play live in the UK for the first time at the Queen Elizabeth Hall in London on Thursday 24th October. Tickets are available now. Read the full press release below for all details. 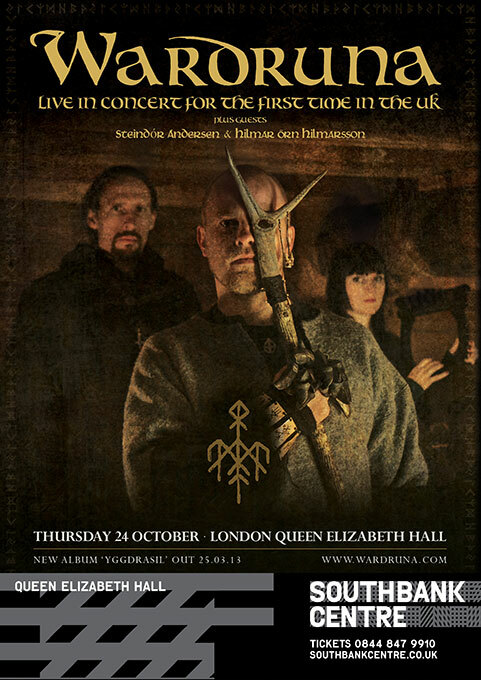 As the northern hemisphere emerges from Winter's bleak grip at the passing of the Spring Equinox we are greeted with news that this Autumn Norwegian folk band Wardruna will play live in the UK for the first time. 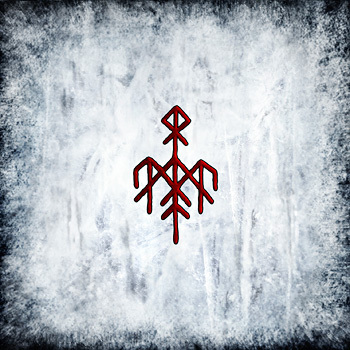 With the use of the oldest of Nordic instruments and poetic metres as well as lyrics sung in Norwegian, Old Norse and Proto-Norse tongue, Wardruna has since the debut in 2009 enchanted fans and critics alike with their mesmerizing recordings and spectacular concerts. None more so than their spellbinding performance in front of the majestic 1100-year-old Gokstad ship at the Viking Ship Museum in Norway. Their recently released second album "Yggdrasil" has continued to garner the band excellent reviews and an ever-growing audience. Wardruna primarily use old and historical instruments such as deer-hide frame drums, Kraviklyra, tagelharpe, mouth harp, goat horn, lur and more. Non-traditional instruments and other sources of sound like trees, rocks, water and torches are also used. All of these elements are carefully woven into a rich musical landscape and complemented with whispering voices, melodic song and mighty choirs. Although Wardruna's music share characteristics with music typically labeled as folk, world and/or ambient, none of these genres can really describe their unique style. It truly must be experienced. Even more so in the magnificent setting of the Queen Elizabeth Hall. For over two decades Steindór Andersen and Hilmar Örn Hilmarsson has been exploring the old Icelandic tradition of "Rímur chanting" which has its roots in Viking music and poetry. Last year the duo released their latest effort "Stafnbúi". Steindór, the most distinguished Icelandic chanter of rímur, performs twelve of his favourite poems on this recording, accompanied by the mystical and haunting music of Hilmar Örn, award winning film composer and a prominent figure in the Icelandic music scene since the eighties. Their work with the group Sigur Rós has received great acclaim and two Nordic Council Music Prize nominations. April 2002 saw the premiere of the large orchestral and choral piece, "Odin's Raven Magic", which they performed at the Barbican Centre with the London Sinfonietta and The Sixteen. In recent years Steindór and Hilmar have travelled widely with an ever changing rímur repertoire, which they usually perform with a local string quartet and sometimes local folk instrumentalists. Third and final Yggdrasil preview video. Check out this video of Wardruna performing ‘Helvegen’ from their upcoming ‘Yggdrasil’ album for the first time at Castlefest in Lisse, Netherlands on August 2, 2012. We are pleased to announce that music from both ‘Gap var Ginnuga’ and the soon-to-be-released ‘Yggdrasil’ album will be featured in several episodes of History Channel’s newest series, ‘Vikings’. It is a historical drama series inspired by the sagas of Viking King Ragnar Lodbrok, created and written by Michael Hirst (Elizabeth, The Tudors). The first episode premiered on March 3, new episodes will air on the History Channel on Sundays in the US and on HBO Nordic on Mondays in Scandinavia. Includes listening samples of ‘AnsuR’, ‘IwaR’ and ‘IngwaR’, as well as comments from Kvitrafn and Gaahl. ‘Yggdrasil’ can now be pre-ordered in our own shop. The song ‘Fehu’ from our new album ‘Runaljod – Yggdrasil’ is now available as digital download in our shop. It is also available (or will be soon) through most major digital music stores and services like iTunes, Spotify etc. ‘Yggdrasil’ will, as previously announced, be released on March 15 in Norway, March 25 in Europe and April 2 in North America. It will be available as regular jewel case CD and as digibook CD with an exclusive 32 page booklet with unabridged lyrics (and translations), expanded liner notes and more illustrations. Vinyl version will be available through Back On Black. The digibook version will also be sold together with a limited edition necklace as a package. This package will only be available through our own shop and the Indie Recordings US store. We will begin taking pre-orders on March 1 in our own shop. Listening samples of the first four tracks of ‘Yggdrasil’. Includes comments from Kvitrafn and Gaahl. We're excited to announce that our new album ‘Runaljod – Yggdrasil’ will be released by Indie Recordings on March 15 in Norway, March 25 in Europe and April 2 in North America. ‘Yggdrasil’ will be available as regular jewel case CD and as digibook CD with an exclusive 32 page booklet. Vinyl version will be available through Back On Black. 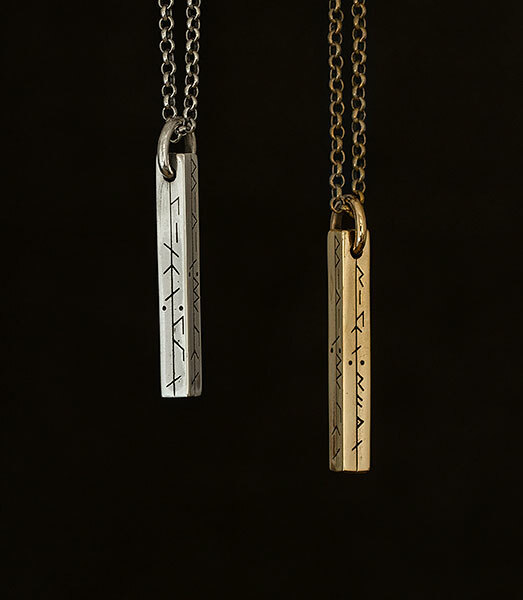 The digibook version will also be sold together with a limited edition necklace as a package. More details to follow. Wardruna’s Gjallarhorn concert will be this years original production for the Inferno Festival Switzerland. This unique show will take place at Chillon Castle (a medieval castle located near Montreux) on Thursday, March 14th. On stage Wardruna will be accompanied by lur and (swiss) alphorn players. They will perform new compositions as well as Wardruna songs re-arranged specially for this occasion. Wardruna will perform at the Swiss edition of the Inferno Festival in Lausanne on Friday, March 15th. This will be the official release concert for Wardruna’s next album, ‘Runaljod – Yggdrasil’. It pleases me to announce Wardruna’s first appearance in USA. Wardruna will be performing exclusively at the Stella Natura festival in Sierra Nevada’s Tahoe National Forest. September 20th–22nd 2013. Visit the festival website for more information. A lot has happened since the release of our debut album in 2009. We have been lucky enough to be able to perform at some really special places and interesting festivals. A concert with Wardruna is in my view two-way communication, and meeting our audience has been both overwhelming and very inspiring for us. Judging from the amount of comments and questions we get at our shows or by e-mail it seems clear to me that it is due time for more Wardruna music. It has taken me quite a while to find the necessary calmness and time needed in order to create the way I do. Last year in November, I began recording for ‘Runaljod – Yggdrasil’, which will be the second part of the ‘Runaljod’ trilogy. The creative process has been time-consuming and demanding, but I am very happy to say that I am now in the final stages of recording ‘Yggdrasil’. Like our previous album, it is partly recorded outdoors and in places or situations relevant to the given song. Although the instruments are more or less the same as on ‘gap var Ginnunga’, the nature of the set of runes featured on ‘Yggdrasil’ have naturally made it a very different album. It is also worth noting that this time I’ve been working more closely with Lindy and Gaahl during the creative process. We are all very satisfied with the result so far, and we are looking forward to presenting this new piece of old-rooted culture! Together with Indie Recordings we are aiming for a spring release (March/April) both in Europe and in the US. Kursledere: Einar Selvik (Seid) og Lars Magnar Enoksen (Galdrer). 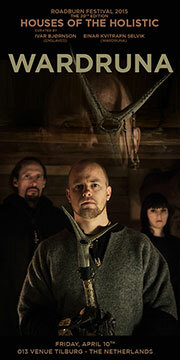 Wardruna is very pleased to announce that they will perform at the 2012 edition of Castlefest in Netherlands. 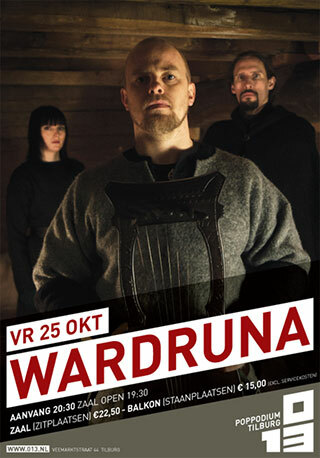 Wardruna's concert will be on Thursday, August 2nd. More information is available at the Castlefest website. Below is a video of Wardruna performing the song 'Algir - Tognatale' at Logen in Bergen, Norway on August 24, 2011. Available on both Vimeo and YouTube. ‘The History of Runic Lore’ by swedish runologist Lars Magnar Enoksen gives you an honest and trustworthy explanation of the runes and how we know their meaning. The book will help to distinguish fact from fiction and is a great tool for doing first hand runologic studies and building your runic explorations on solid ground! 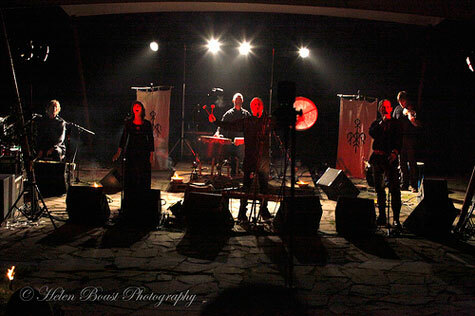 Below is a video of Wardruna performing the song 'Hagal' at Logen in Bergen, Norway on August 24, 2011. The LP edition of ‘Runaljod - gap var Ginnunga’ was finally released earlier this month by Burning World Records in cooperation with Alone Records. The album is pressed on two 180-gram heavyweight vinyl records (available in either black or white) and housed in a sumptuous triple gatefold sleeve which also contains a 24-page booklet with lyrics, liner notes, photos and artwork. This is without doubt the premium format on which to own Wardruna's much acclaimed debut album! Available now in our online shop! The album will of course also be sold at Wardruna's special concert (which you can read more about here) in Bergen next week. Wardruna will be performing at Logen Teater in Bergen, Norway on Wednesday, August 24 at 18:00. The concert is presented by Amber Booking in cooperation with the Hole in the Sky festival. Tickets are now available through Billettservice and Apollon (a local record store). Regular concert goers without a HITS festival ticket have to select the ticket type labeled ‘VOKSEN’. 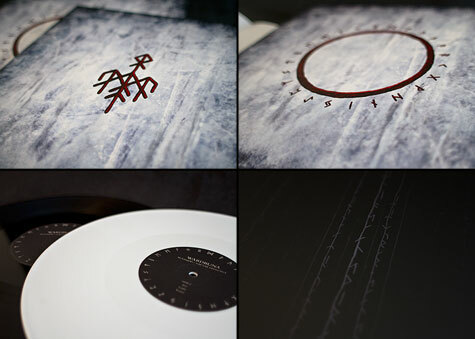 The vinyl edition of ‘gap var Ginnunga’ which was supposed to be released next week when Wardruna perform at Roadburn 2011 has been delayed till mid-June. The increasing amount of e-mails I receive inquiring about the next album in the Runaljod trilogy tells me it is about time I shed some light on the current status of this project. Since the release of ‘gap var Ginnunga’ in 2009, it has taken a while for me to find the time, space and focus which I know is necessary for making this music. As with the first album, I will not and cannot rush this work, it must be allowed to take its course. I know this may sound like bad news, but you can rest assured I'm well under way in the creative process, both writing and recording music for ‘Runaljod – Yggdrasil’. It is of course too early to talk about a release date, but I hope to be done in a year or so. I will share more specific information about the album later in the process. And perhaps some samples of the new music. In other news, we have expanded wardruna.com a bit. We now have dedicated pages for our picture and video galleries. There’s loads of new pictures, so please have a look. No new videos though, but we’re working on that. Speaking of site updates, recently we added a couple of new items in the web shop. The design of the linen tunics have been improved and we can now also offer a version made of wool felt. New rune sets (the Younger Futhark, 16 runes) are also available along with a nice little book called ‘The Viking Runes’, which serves as a great introduction to the magical use of the Younger Futhark. It’s written by Lars Magnar Enoksen (a Swedish writer, runologist and glima wrestler) and is based only upon runologic facts and other reliable sources on the runes. It is therefore not colored by the authors own perception of them, which is the reason I can fully endorse it. For people who are new to the runes, it is my humble opinion that the 16 runes of the Younger Futhark serves as a better starting point than the 24 runes of the Elder Futhark. That’s all for now. Thank you for reading and for taking such warm interest in Wardruna. 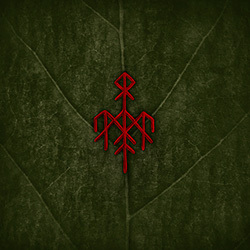 Wardruna is very pleased to announce that they will perform at the 2011 edition of the Roadburn Festival in Netherlands. The concert will be on Thursday, April 14th at the Midi Theatre in Tilburg. It has also been confirmed that ‘gap var Ginnunga’ will finally be released on vinyl. The vinyl edition of the album will be released by Burning World Records sometime prior to Wardruna’s appearance at the Roadburn Festival. More info and a full press release is available at Roadburn’s website. Wardruna will be performing at the Øya Festival in Oslo, Norway, on Thursday 12th August. Visit www.oyafestivalen.com for more details and to get tickets. A collection of photos from Wardruna's concert at the Viking Ship Museum at Bygdøy in Oslo, Norway on March 30th 2010. 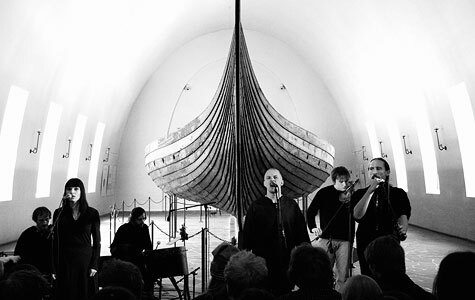 On April 9th, 2009 Wardruna was the first band to ever play a concert in front of the majestic Viking ships at the Viking Ship Museum at Bygdøy in Oslo, Norway. About a year later, on March 30th, 2010, they will return to do the same again, but this time the concert will take place in the evening. This will surely make it an even more atmospheric concert than the previous one which was held during the regular daytime opening hours of the museum. Like last year, this special concert is a part of the Inferno Music Conference. Tickets are available at Billettservice.no. All our T-shirts are back in stock. 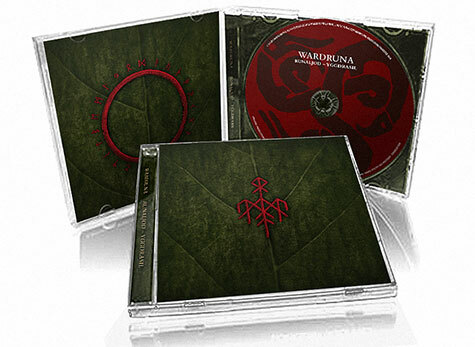 The Wardruna album is also available as digital download (MP3 or FLAC). Several new pendants as well as brand new rune sets are now for sale. We have also made the linen tunic available in children's sizes. Video of Wardruna performing "Kauna" live at the Incubate Festival in Tilburg, Netherlands on September 19th 2009. Video of Wardruna performing "Hagal" live at the Incubate Festival in Tilburg, Netherlands on September 19th 2009. Wardruna have been picked out to play at the by:Larm festival in Oslo, February 18-20, 2010. Visit www.bylarm.no for more information. Wardruna will also perform at the EuroSonic festival which is taking place from January 14-16 in Groningen, Netherlands. Visit www.noorderslag.nl for more information. The recent Wardruna concerts in Nauen (Germany) and Tilburg (Netherlands) went very well. Big thanks to everyone involved in the planning and execution of these shows, especially the people at Incubate for all their work on the venue, which was great. If you have any live photos or videos, we would appreciate if you share them with us online or send them directly to kvitrafn-at-wardruna.com. Thanks. In other news, we now have a few Odin T-shirts available in the Fimbulljóð shop. Not very many though, just leftovers from the aforementioned concerts. We're planning to restock all our T-shirts during the autumn/winter, so all sizes will then become available again. 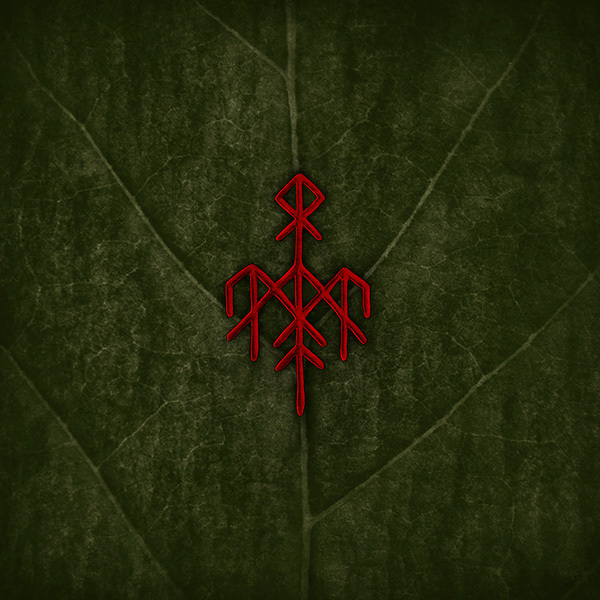 We have also created a Wardruna Twitter page. For now it will primarily be used as an additional way of delivering Wardruna updates. A short excerpt of Wardruna's "Algir - Tognatale" is featured in the TV trailer for Rob Zombie's new movie "Halloween 2". As you can see below, Wardruna is currently preparing for the forthcoming live shows in Nauen (Germany) and Tilburg (Netherlands). A new member has also been recruited for the live lineup. Erlend Gjerde, who is known for his excellent drum work in Stonegard, will be leading Wardruna's main battery in the time to come. The full live lineup is thus: Kvitrafn, Gaahl, Lindy-Fay, Erlend Gjerde, Arne Sandvoll and Egil Furenes. 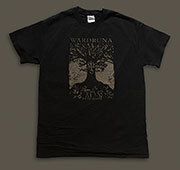 A brand new Wardruna T-shirt is now available in the shop. We have also added 17 new rune pendants. As you may have noticed, we are currently in the process of reorganizing and redesigning wardruna.com. Some of the new pages - like the ‘gap var Ginnunga’ page with lyrics (including english translations), cover art and liner notes - are already online while others are still in progress. Wardruna will headline this year's Rock for Roots festival, set to take place September 4-5 in Nauen (near Berlin), Germany. 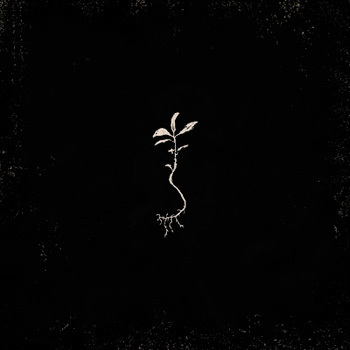 Visit rock-for-roots.com for more information. I'm happy to announce that Wardruna is confirmed to perform at the Incubate festival in Tilburg, Netherlands. The concert will take place on September 19 near a rural inn called ‘In den Bockenreyder’. Check out incubate.org for more info on the venue and its surroundings, tickets etc. The first ever Wardruna concert took place two days ago and judging by all the positive feedback we have received, I'd say it was successful. It was with a great deal of reverence and pride that we, amongst the ancient longships and relics in The Viking Ship Museum at Bygdøy, performed our songs in front of an audience of two hundred persons. It was a wonderful experience and great thanks goes out to everyone who made it happen. This will definitely not be the last time Wardruna perform live! 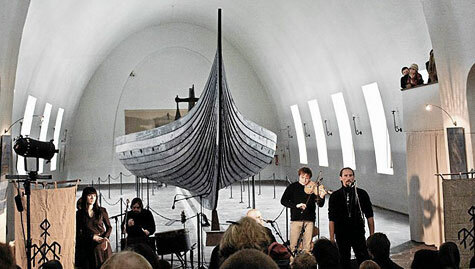 During this years edition of the Inferno Music Conference Wardruna will perform live in front of the Oseberg ship in the Viking Ship Museum at Bygdøy in Oslo, Norway. The concert will take place on Thursday April 9 at 13:45. There will be a limited number of tickets available for those who are not attending the Inferno Music Conference. More info on this will follow shortly. Update: For those of you who wish to see the concert, but do not plan to take part in the Inferno Music Conference (IMC), it will be possible to just show up at the Viking Ship Museum and buy a ticket directly there. A new photo set called ‘Creating gap var Ginnunga’ has been added to Wardruna's Flickr page. The pictures documents some aspects of the creation process of ‘Runaljod – gap var Ginnunga’. Video of Wardruna performing ‘Dagr’ on Store Studio (Norwegian talkshow). ‘Runaljod – gap var Ginnunga’, which was released yesterday, can be heard in its entirety through our MySpace page for the rest of the week. Tune in to NRK1 this coming Monday (19 Jan.) at 22.25 PM and see Wardruna perform live on the Norwegian talkshow Store Studio hosted by Anne Lindmo. If you want to be in the audience, you can book tickets via publikum@nrk.no or call 23 04 21 66. We will post a link to the video of the show as soon as NRK makes it available online. Five new rune pendants have been added in the shop. The Odin T-shirt is also available again. The Dutch online magazine FaceCulture have posted footage from a recent interview with Gaahl where he talks about Wardruna. Subscribe for the Wardruna newsletter and get a free high quality MP3 (256 kbps) of ‘Algir – Tognatale’ from Wardruna's debut album ‘Runaljod – gap var Ginnunga’. Use the subscription form in the sidebar to sign up. Existing subscribers should already have received an e-mail with a link to the MP3. The release date of ‘Runaljod – gap var Ginnunga’ is approaching (January 19), so we have decided to add ‘Hagal’ to the music player both here and on MySpace. You can also check out the cover artwork and complete track listing below. Some of the other songs from the album has already been played on various radio shows around in Europe and so far the feedback has been great! We'll try to keep you posted about future radio broadcasts. Note: The left cover is a slipcase, the other is the front-page of the elaborate 24 page booklet. Both may appear if you look for the album in online stores. Four new rune pendants have been added in the shop section. It seems these are sought after items so I will try to make new ones more regularly in the future. I'm delighted to announce that Wardruna's debut album ‘Runaljod – gap var Ginnunga’ will be released on January 19, 2009 by Indie Recordings, under exclusive license from my own Fimbuljóð Productions. This is an ideal partnership for Wardruna; not only will the music be distributed and promoted in the manner it deserves, we also get to work with the fine people at Indie Recordings here in Norway. They have proven themselves to be very professional and dedicated to their work and I am very pleased to be able to work with them and totally confident that this is the right label for Wardruna. We have updated all the songs in the music player. You can now listen to the final and mastered versions of the songs. We apologize for the lack of update activity here lately. We promise more frequent updates from now on and will soon announce the details for the release of the first Wardruna album ‘Runaljod – gap var Ginnunga’. In the meanwhile you can check out this interview with Kvitrafn which was done in March 2008. It was originally published in Dark City Magazine #44. We would also like to use this opportunity to thank everyone for the overwhelmingly positive response to the songs that was published in March. Since then we have received lots of e-mails and messages via MySpace etc., all of which are read and much appreciated. Unfortunately we can't respond to all of you, but you should know it is appreciated. Thanks. 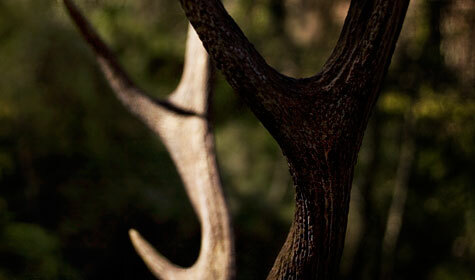 Welcome to the new Wardruna website. We have put a lot of work into this site and hope you will like it. Please feel free to post your comments in the guestbook. The upcoming full-lenght album ‘gap var Ginnunga’ is still in the works and has been somewhat delayed in the absence of proper studio facilities during the last year. This is now in order and the pace has picked up, so we hope to complete the album within this following summer. 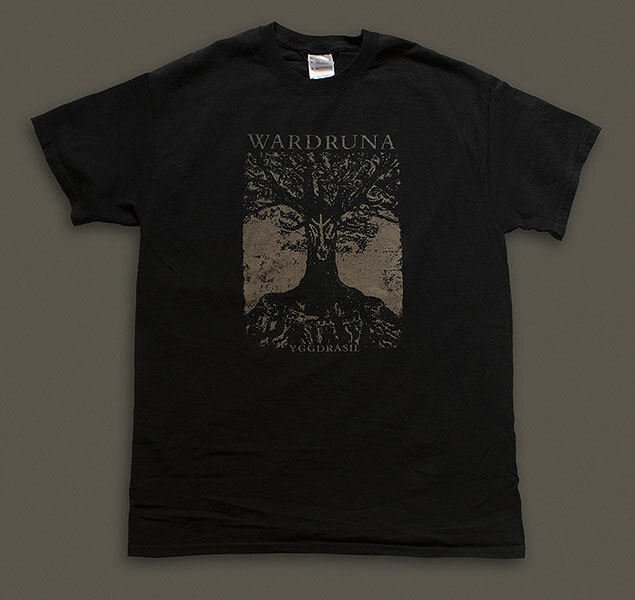 The first ever Wardruna T-shirt is now available in the shop. Artwork by Hans G. Sørsensen. Sizes available: small, medium, large and extra large. Music by Wardruna has now been featured in two documentary films. One of them, ‘Heksene’ (translated: ‘The Witches’) – a Norwegian film on modern Wicca witches by Piotr Kuzinski, was broadcasted by TV2, the biggest commercial TV channel in Norway. You can now listen to ‘Løyndomsriss’ at the official Wardruna MySpace profile. 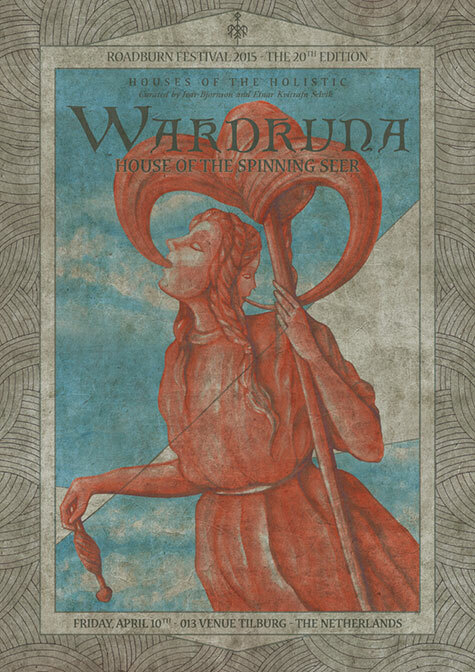 More songs will be posted online when Wardruna.com is launched sometime this spring/summer.